Matrici began operating in 1964 promoted by a group of professionals who, having trained as professionals in the “Mecánica la Peña – Läpple” company, were looking to undertake a business project more in line with their idea of the social economy and commitment to the local area. Since its origin and at the express wish of its founders, Matrici has always been a Cooperative. The partners were fully involved right from the start, and even mortgaged their own homes to start up the project and make the initial contributions. The first orders, which came from “ULGOR” in Mondragón, were filled with the barest means and resources. The dedication, efforts and professional commitment of this group of workers were essential to be able to rise in these conditions to the first challenges faced by Matrici as a company, beginning to imprint effort and commitment as key values of the company. After an initial stage in which the main activity area of Matrici was household appliances, it gradually began to move towards the automotive industry. In the first few years, the main market that it aimed at was the domestic one, carrying out projects for “ Barreiros “ ,“Ebro” and other well-known brands of the period. These projects gave Matrici a sales volume sufficient for it to equip itself with more sophisticated production means in line with the increasing technological demands of such a thriving business as the automotive industry. 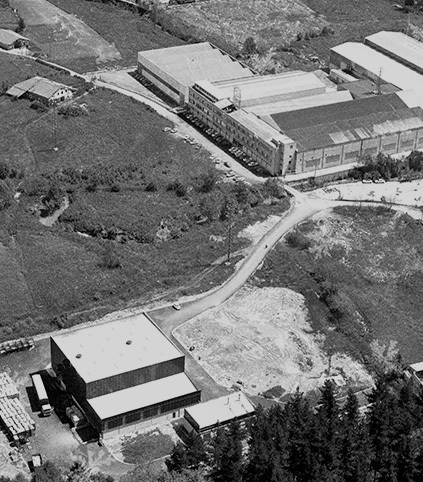 At the end of the decade and as a means of supporting the development and growth of the business and its needs, Matrici supported the creation of the Txorierri Polytechnic College. Cooperation since then has been continuous, promoting and dynamising the capture and training of professionals in the sector. Entry into the European common market meant a great opportunity for diversification. With a great show of entrepreneurial spirit, it began to export dies, first of all to France (Renault, Peugeot and Citröen), and then to the rest of Europe, working since then with brands such as Opel, Saab, Volkswagen, Audi, Mercedes, Volvo, etc. This process of internationalization gave rise to a technological revolution at Matrici at the start of the decade with the introduction of CAD-CAM, which led to differentiation and a key competitive advantage which placed Matrici at the forefront of technology in its sector. As a result of the experience acquired in the automotive industry and its entrepreneurial spirit, the company “Matriplast S.Coop” was created to respond to the already increasing demands of the market for plastic and fibreglass parts. 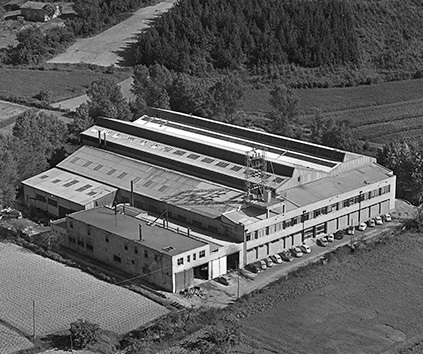 The business is still in operation today under the name FPK, and also forms part of Mondragon. Already recognised as an industry leader by the main European OEMs, Matrici now took up the challenge of large projects and complete bodywork, adapting its management model to superstructures. Extensive technical knowledge of the products and a close relationship with customers were the levers for moving forward with guarantees. The people, installations and technological resources were adapted and designed to cover the scope of the new projects. Its sound position in Europe and increasing globalization led Matrici to take a second leap in internationalization towards Asia and America. Once again and in response to the company's commitment, the company Bizkailan was formed, which brought together knowledge of 3D design for the industry. In addition, to continue to rise in the value chain and supply customers with a wider range of products, hemming, industrial automation and welding projects were introduced. 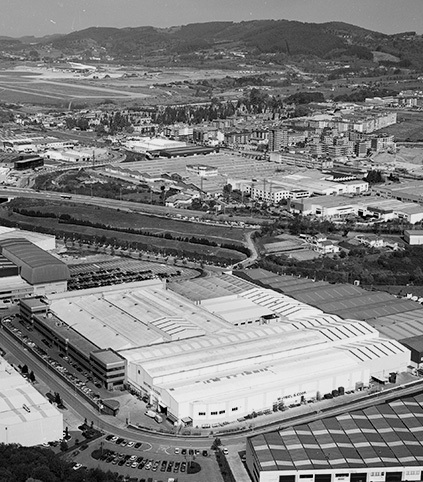 These developments enabled Matrici to supply complete subassemblies, and the increasing demand for them led a few years later to the spin-off that ended up as the current MB Sistemas S.Coop., which also forms part of Mondragon. Corporación Mondragon was created in the early 1990s, but it was only at the start of the new century that Matrici joined the project. This did not involve any major corporate changes because Matrici still belongs to Lagun Aro and Caja Laboral, but it did mark the beginning of a new way of doing business. The acknowledged experience in reinforcement and external panels, as well as the versatility of additional services, from simultaneous engineering to the start-up of subassembly production lines, positioned Matrici internationally as one of the few companies with a total service. Its capacity for successfully undertaking the design, manufacture and tryout of complete projects, participating with customers right from the start from the design of the panel to the mass production, made it one of the few suppliers at global level with this capacity, starting at the beginning of this decade with the manufacture of lorry cabs. In the following years, several similar projects have consolidated the ability to produce this product. Meanwhile, in view of the increasingly strict quality requirements and based on its knowledge, the subsidiaries MB Tooling Boroa and MB Tooling Rioja were created in the Dies and Systems Division. Both companies complement the tryout capacities available at Matrici. The development of the market towards more complex and demanding materials and products, as well as the focus on quality and aesthetic requirements, position Matrici once again as one of the most solvent companies in this area. The need to guarantee quality in a highly dynamic setting in the launch of new models increases requirements and shortens manufacturing times. A clear commitment to technological means of simulation and collaboration in this area with universities, steel makers, customer and R+D+i centres, and the large internal capacity for manufacturing together with the extensive supplier network, enable Matrici to guarantee supply, on time and with the required quality, of the most demanding projects. Adaptation of the management model to the latest trends and the entire organization's focus on total quality have become a usual operating standard in a highly specialist sector with a constant need for technology renewal and high qualification in all areas of the company.